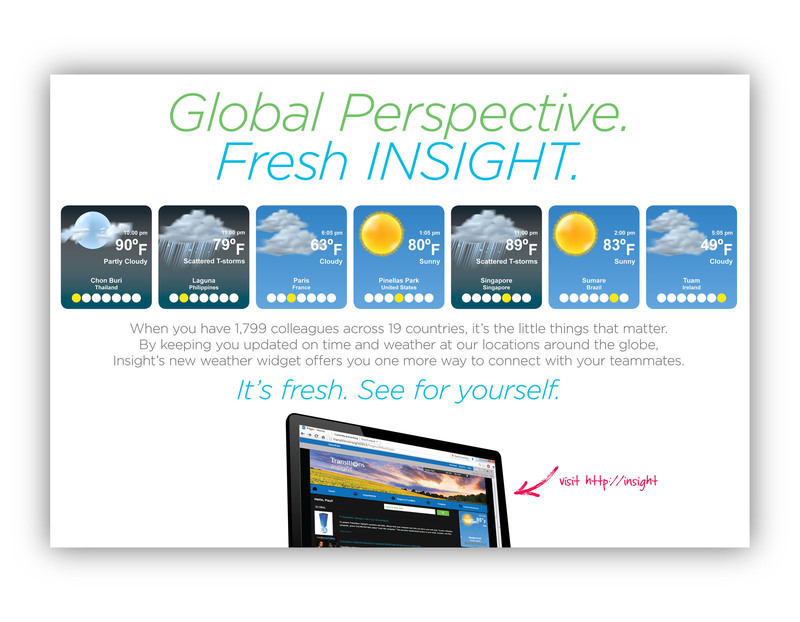 Insight, the Transitions Optical intranet, launched with a fresh look and improved functionality. To increase awareness, excitement and usage of this revised resource, Ietal connected the global team of over 1,700 team members in 19 countries through on-going communications. A combined effort using both electronic and physical communications tools maintained excitement over several months, encouraged re-visits and ensured an engrained usage habit. What a beautiful day — or is it? Improved functionality including the weather widget highlighted below helped connect team members around the world. Other functionality improvements included advanced search, improved team member contact search and streamlined navigation.